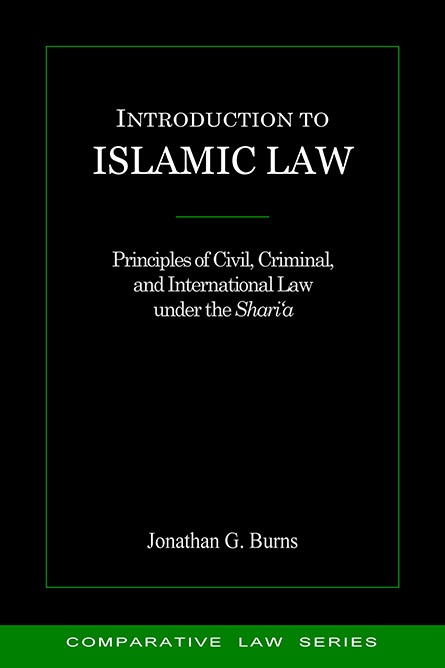 Introduction to Islamic Law begins with an overview of Islam as a whole, including a discussion of the sources of Islamic law and sectarian distinctions. Then, the book thoroughly addresses the secondary duties of Islamic law, which govern daily transactions between individuals, including the law of contracts, property, banking and finance, and familial relations as well as criminal law and procedure and the law of war. 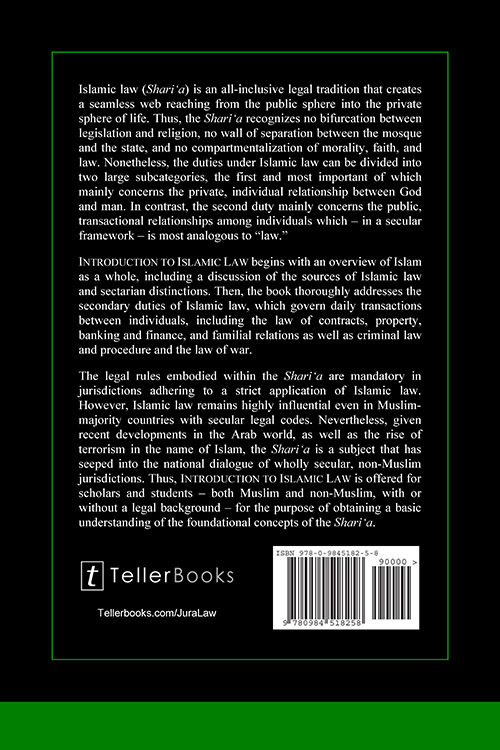 The legal rules embodied within the Shari‘a are mandatory in jurisdictions adhering to a strict application of Islamic law. However, Islamic law remains highly influential even in Muslim-majority countries with secular legal codes. Nevertheless, given recent developments in the Arab world, as well as the rise of terrorism in the name of Islam, the Shari‘a is a subject that has seeped into the national dialogue of wholly secular, non-Muslim jurisdictions. 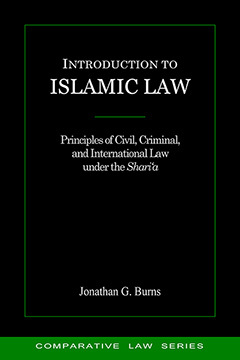 Thus, Introduction to Islamic Law is offered for scholars and students – both Muslim and non-Muslim, with or without a legal background – for the purpose of obtaining a basic understanding of the foundational concepts of the Shari‘a. The Comparative Law Series provides succinct overviews of national laws in subjects of particular relevance to international practitioners. With a focus on international and comparative law, the JuraLaw™ imprint publishes monographs exploring public and private international law and overviews of the laws of various nations.